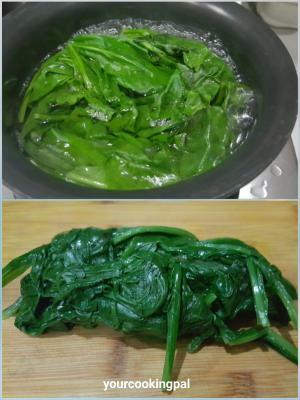 Heat 3-4 cups of water and blanch the spinach for a min or two. Transfer it into cold water. chop it finely and keep aside. Dry roast gram flour and keep aside. Keep all the basic ingredients ready. In a pan heat butter, and add the ginger green chilli paste and saute. 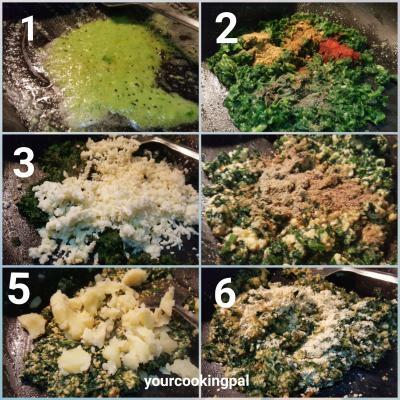 Add the blanched spinach and mix well and add the spices except the amchur and chat masala and mix well. Add the salt, chat masala and amchur powder and saute until the water dries out completly if any. 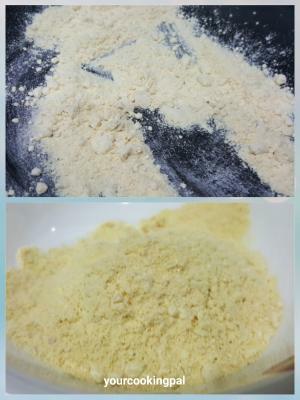 Then add the gram flour and mix. The stuffing is ready. Let it cool. 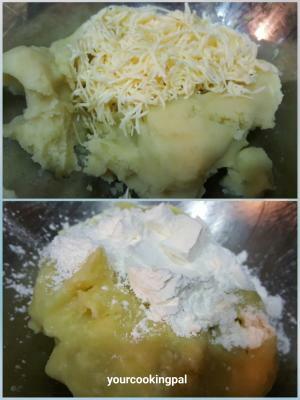 Mix salt and cheese in the boiled potato and mix. Make a dough and keep aside. 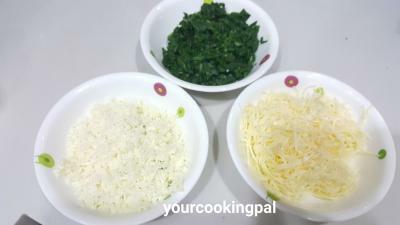 Now as shown make a flat round with the potato mixture on the palm and place the spinach stuffing. Shape them into cylindrical / finger shapes . Keep all of them ready. 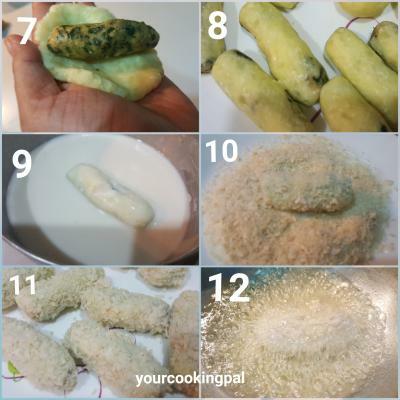 Keep the bread crumbs and Maida ( AFP) ready ( dissolve 5-6 tsp of maida with ice cold water making a batter that isn't too thick or too runny but just right to coat the fingers )and add salt to it. Now drop the fingers in the batter and coat them well. Keep all of them ready to fry. 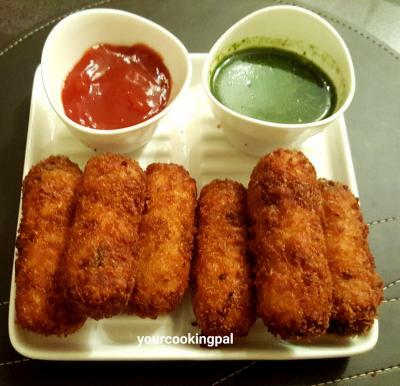 Deep fry them on medium to high heat until golden brown. Serve them hot with tomato ketchup and coriander-mint chutney.